Meerut: Nithari serial killer Surendra Koli who is to be hanged in Meerut on 12 September, has been placed in a high-security barrack in Meerut jail, prison authorities said. Koli was placed in the high security barrack last night and two armed guards deployed outside his cell in order to avert any suicide attempt, Jail Superintendent SHM Rizvi said today. Koli is a special category prisoner and he will also be kept under CCTV surveillance till a day before his hanging, he said. Rizvi said that Koli ate the food served to him according to the prison manual and did not sleep last night, adding that he is calm and showing normal behaviour. So far, he has not intimated the authorities about his last wish. He has been reading religious texts since morning, the Jail Superintendent said. 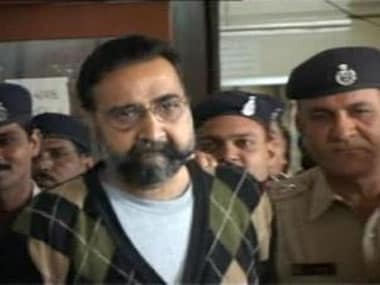 Koli will be the 18th criminal to be hanged in the Meerut jail. Rizvi said no one has been hanged during his tenure in the prison. Even for the hangman Pavan, it will be the first hanging of his career. "I am not nervous and my hands will not tremble while hanging him. Being a hangman is my hereditary profession. Even my father and grandfather had hanged many criminals to death and I witnessed the hangings," Pavan said. Pavan said he will only feel satisfied once Koli is dead, adding that he inspected the ladder, rope and the plank yesterday in order to prepare for the hanging. The hangman also said that his grandfather Kalu had hanged Indira Gandhi's killers, Satwant Singh and Kehar Singh in 1989. A warrant was issued on Wednesday by Ghaziabad's Additional sessions Judge Atul Kumar Gupta in the name of 42-year-old Koli that he should be hanged to death after the convict exhausted all his legal remedies in this case. Koli has been sentenced to death in connection with the killing of Rimpa Halder and in four other cases. This will be the first execution of a death sentence convict under the new NDA government. Koli was awarded death sentence by a lower court, which was upheld by the Allahabad High Court and confirmed by the Supreme Court on February 15, 2011 for the murder of Rimpa Halder in 2005. Holding that Koli "appears to be the serial killer", the court had said "No mercy can be shown to him." A total of 16 cases were registered against Koli. 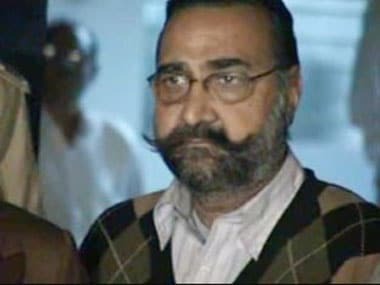 His employer Moninder Singh Pandher, who was also sentenced to death in Rimpa Halder case, was acquitted by the Allahabad High Court. Out of 16 cases filed against Koli, he has been awarded death sentence in five of them so far and others are still under trial.